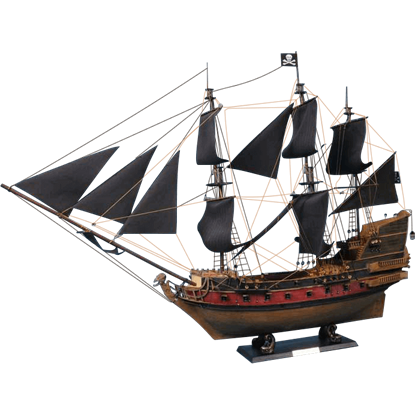 If you are looking to acquire a pirate ship, then we are happy to help. 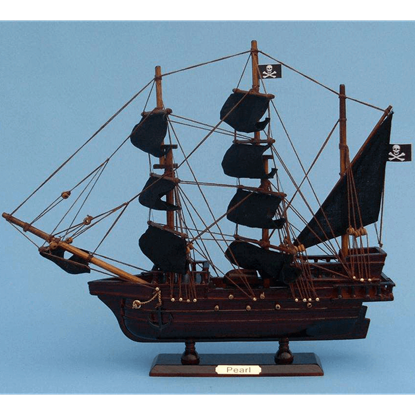 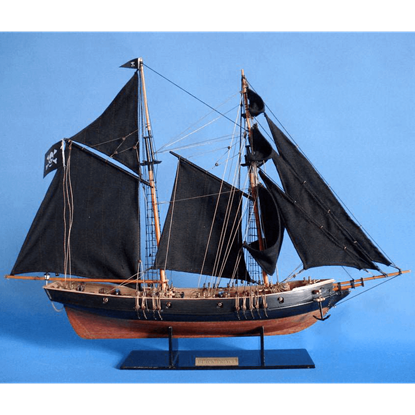 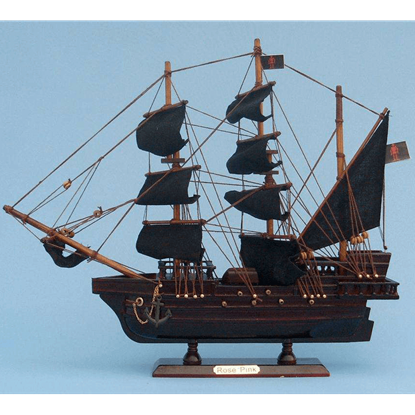 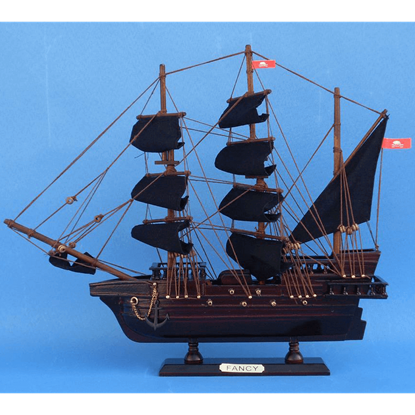 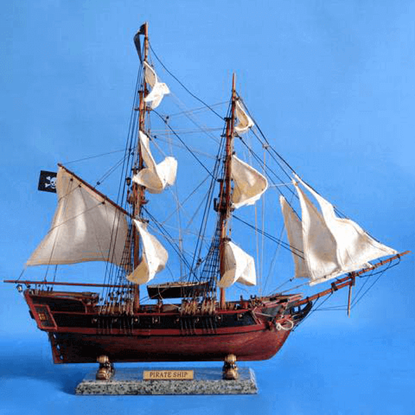 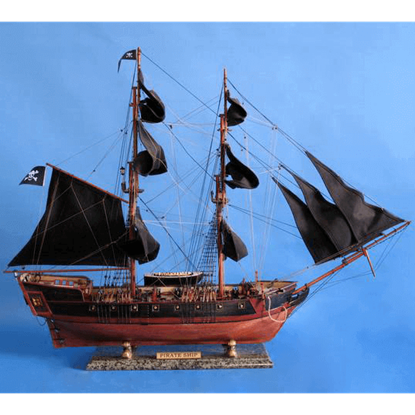 We carry a wide array of awesome model pirate ships that not only make great decorations but also serve as gorgeous gifts for fans of legendary vessels from the Golden Age of Piracy. 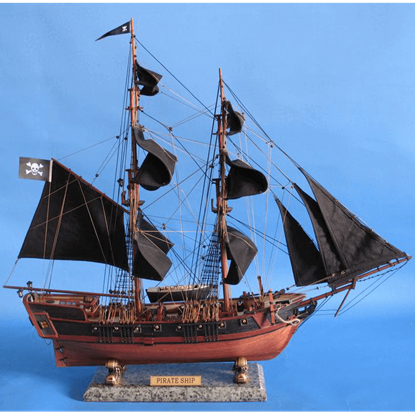 These pirate ship replicas come in a wide variety of sizes ranging from conveniently small to impressively large. These buccaneer ships are based on authentic pirate ships captained by figures like Calico Jack, Captain Kidd, and the infamous Blackbeard. These scale model ships are carefully designed and hand-crafted with name plates, period-accurate rigging, and high-quality woods. 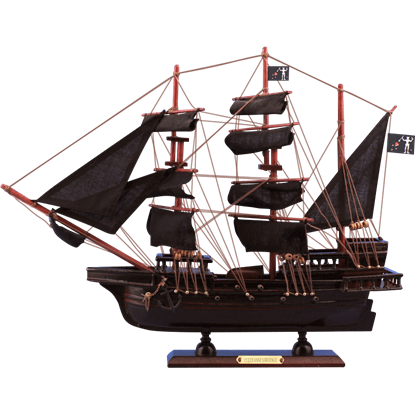 Choose from the Flying Dutchman, Rose Pink, the Royal Fortune, Queen Annes Revenge, and other iconic pirate vessels as you decorate your home or office.